A healthy gluten free diet doesn’t have to be hard. You want to eat more healthful and nutritious foods. You’ve also recently been diagnosed with celiac disease, or have discovered you are gluten intolerant and feel much better when eliminating gluten from your diet. Perhaps you’ve been gluten free for some time now, and are ready to kick your nutrition up a notch. Your goal is to make your food, and your life, more than just gluten free. You’re ready for a lifestyle, not a “diet.” You want to make healthier choices in eating and in activity. You want to make those choices easy, and a part of every day. This is a “fast action guide” to get you started on your healthier life today. Each one of the seven tips has a companion “do-this-now” component to get you moving. You get checklists, questionnaires, worksheets, practical strategies and survival tactics. Ideas to implement immediately for making healthier food easier to grab, and provides a list of easy gluten free and healthy snacks. Easy ways to get your cooking done, and includes a worksheet on putting together simple yet flavorful and healthy gluten free meals. This manual is easy to understand and quick to implement. It allows you to save the time you would have spent researching and studying all this information, and spend that time enjoying your new healthier gluten free lifestyle. But-you must put the steps into action. It is up to you to make the changes. This guide provides a system with a step-by-step plan to live healthier starting now. About the author: Erin Elberson Lyon is the author of the popular blog Gluten Free Fitness, where she assists and educates people in how to make impactful and positive choices for nutrition and lifestyle. Educationally, she holds a Master’s degree in Physical Therapy and a Bachelor’s in Health Science, as well as passed (with 100%!) the National Foundation for Celiac Awareness GREAT testing (Gluten Free Resource, Awareness and Education Training) for Allied Health Professionals. More importantly, she has celiac disease and is an advocate of good nutrition and sound fitness habits to improve quality of life and health.A healthy gluten free diet doesn’t have to be hard. About the author: Erin Elberson Lyon is the author of the popular blog Gluten Free Fitness, where she assists and educates people in how to make impactful and positive choices for nutrition and lifestyle. Educationally, she holds a Master’s degree in Physical Therapy and a Bachelor’s in Health Science, as well as passed (with 100%!) the National Foundation for Celiac Awareness GREAT testing (Gluten Free Resource, Awareness and Education Training) for Allied Health Professionals. More importantly, she has celiac disease and is an advocate of good nutrition and sound fitness habits to improve quality of life and health. If you thought going “gluten free” was difficult, involving an extremely limited range of foods, think again! You will be amazed at the variety of foods that you can still enjoy. The informational guidance included in this book makes gluten free cooking and living easy, even for those with no experience or prior knowledge. The 50 recipes cover every eventuality, from just cooking for yourself or the family at home, to preparing for a dinner party. Check out the table of contents below to see the variety available. www.noreenskitchen.com Greetings! Happy Valentines Day! Here is another sweet treat that you can whip up in no time. It’s low fat, gluten free, chocolate and just the right little something to say that you were thinking of someone. 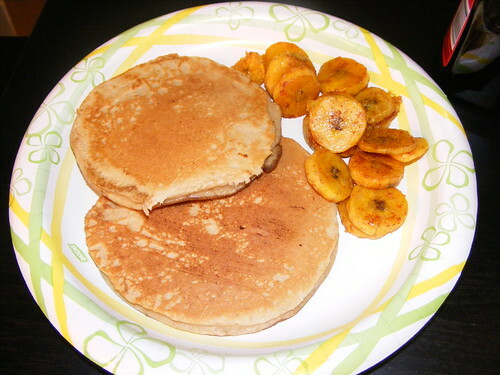 This is really easy and inexpensive and takes few ingredients. Just the right mouthful for the end of a romantic meal. Very light and just a little bit sweet, these kisses are just the right prelude to the real thing. When you whip a meringue you want to remember to always use room temperature whites, metal utensils and either a glass or stainless steel or copper bowl. Make sure that your equipment is impeccably clean because any trace of oil or fat will cause a problem for your meringue. You can make these as large or as small as you like. As you can see, I made mine tiny. When they were cooled, I put them in a cute little gift bag with a window that I got from Michael’s and closed it with a matching sticker. I will be sharing these with my friends at work. You can get this recipe on my website and print it out for your own recipe box. I hope you try this and I hope you love it. Happy Eating! Happy Valentine’s Day! A healthy gluten-free diet doesn’t have to be hard. This book includes general ideas and templates for healthy cooking as well as “Not-Really-Recipes. 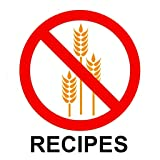 ™” 14 not-really-recipes ™ are provided, along with ideas for many variations upon each recipe. This will give your cooking the easy and relaxed quality you’ve been looking for without the stress of following a specific recipe. Also, at the very beginning is a get-started-now gluten free grocery list to stock your healthy gluten free kitchen. When you get back to your kitchen, if you are living with others who eat gluten you can refer to the included kitchen safety tips. These are easy steps to take to reduce the chance of any cross contamination in a shared kitchen. After you’ve taken care of the obvious gluten make sure you check out the hidden gluten and names of gluten containing grains. Gluten can turn up in places where you would never expect it. Stay safe, stay healthy, eat well, and do it all without fancy recipes or equipment.A healthy gluten-free diet doesn’t have to be hard. When you get back to your kitchen, if you are living with others who eat gluten you can refer to the included kitchen safety tips. These are easy steps to take to reduce the chance of any cross contamination in a shared kitchen. After you’ve taken care of the obvious gluten make sure you check out the hidden gluten and names of gluten containing grains. Gluten can turn up in places where you would never expect it. Stay safe, stay healthy, eat well, and do it all without fancy recipes or equipment.